On Sunday, September 4th, 2016, Oliver went to Instacare for a fever and was diagnosed with Acute Myeloid Leukemia ("AML") a few hours later at Primary Children's ER. Due to the aggressive nature of AML, with the exception of a few days in between his four intense rounds of chemo, Oliver lived at Primary Children's hospital from that day until January 6th, 2017. In addition to the chemo, he endured treatment for a rare invasive fungal infection, and was completely blind for a month. 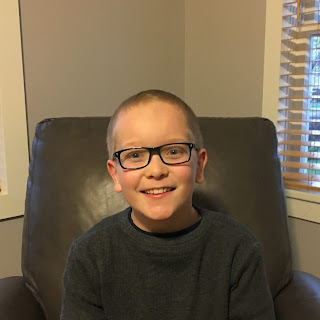 On April 18th, less than four months later, we learned that Oliver had relapsed. His only hope is a bone marrow transplant ("BMT"). The plan is for him to undergo additional rounds of chemo until he is able to achieve remission. If and when he does, Oliver will be able to start the BMT process which involves radiation and even more intense chemo.